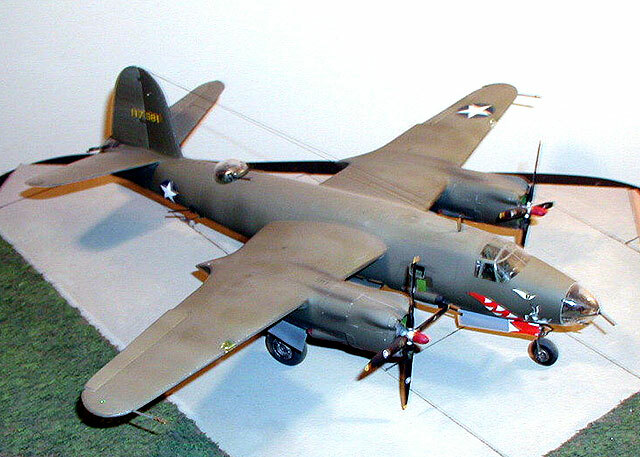 Here is my Monogram 1/48 scale B-26. This model was built in 1985 or 1986. 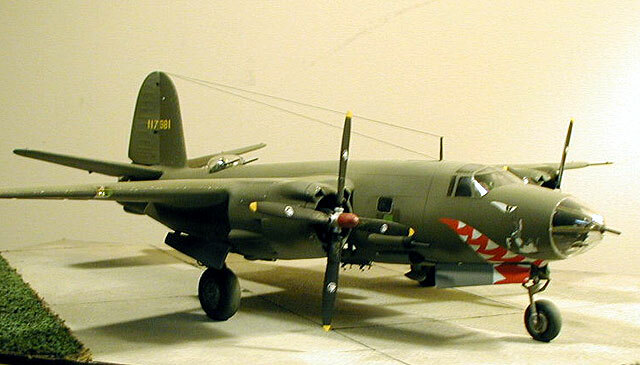 The model represents a B-26 B-4MA serial number 4117981, during the spring of 1943 and based in Algeria. 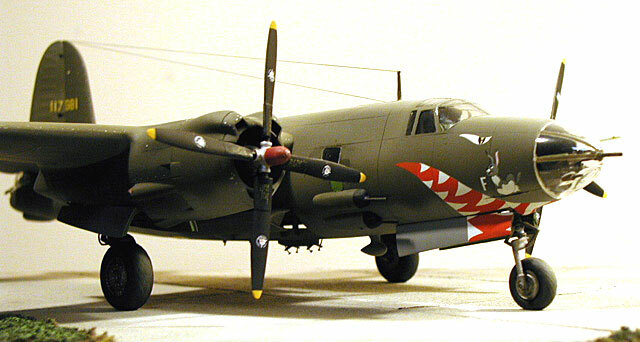 This is the first Shark mouthed Marauder, nicknamed " The Shark" belonging to the 444th Bomb Squadron. The airplane was destroyed in a crash landing on May 23, 1943 after a raid on Sicily. The wing span has been reduced by a scale six feet. 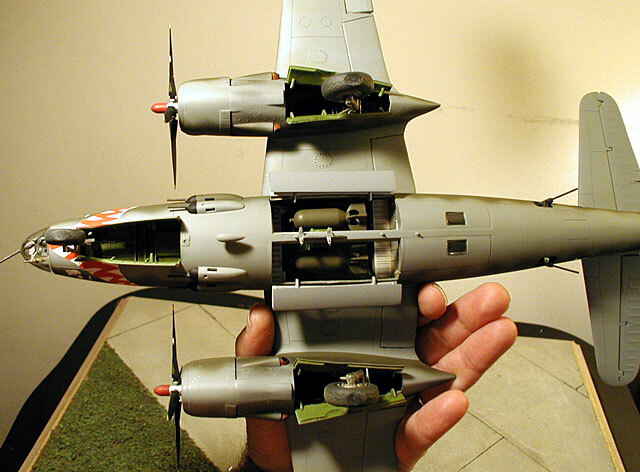 The flaps have been filled and re-scribed as the short winged B-26 had split flaps. The vertical tail has been shortened, the beam gun hatches re-positioned, the early style tail guns are installed. There is a torpedo rack added on the centerline in the area of the bomb bay. This is one of my first efforts at sanding off raised panel lines and re-scribing. For an old model it still looks reasonably presentable.